The international telecommunications developer of Windows-based PBX software, 3CX recently announced its selection by Everything Channel as a 2011 CRN Emerging Technology Vendor. The annual list features innovative vendors who not only deliver easy to use technology, but can generate the high margins solution providers require. 3CX has been added to the list due to its robust product, 3CX Phone System. 3CX Phone System for Windows drew praise for providing a high-value, low-cost VoIP IP PBX solution that’s software-based and provides unified communications. 3CX Phone System is easy to manage and works with any SIP IP phones as it works with the Open SIP Standard. 3CX runs on a standard Windows computer and you can virtualize it. It is far less expensive to purchase and expand compared to proprietary phone systems. For instance, adds and moves can be done in seconds with the 3CX web interface. There’s no need for separate wiring as it is an IP-based PBX and all phones use the existing computer network. 3CX saves businesses money on their telephone administration costs as it works seamlessly with leading VoIP providers and allows users to make and receive calls via Skype. It improves employees’ productivity with desktop call control presence. 3CX delivers mobility to employees by allowing them to work from home via remote extensions. The 3CX Channel Program is open to all IT and telecoms solutions providers and gives an excellent opportunity for resellers to leverage their Windows skills so as to tap into a completely new market. 3CX Partners generate profitable recurring income as they resell 3CX products and their own services to existing customers, whilst also targeting new customers. The roll-out involves software / hardware sales and provides the opportunity for consultancy. Benefits of the 3CX Partner Program include access to free products and technology. Numerous free partner training events held worldwide each year and direct access to the 3CX Support Team assists 3CX Partners so that they can, in turn, assist their customers. 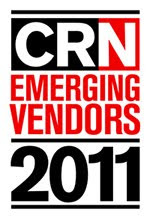 The vendors that make up the CRN Emerging Technology Vendor list were founded in 2005 or later, have revenue under $1 billion and have an active U.S. channel strategy. Thanks for posting this award. 3CX is an exciting product to provide because of its flexibility and the savings it offers clients. It deserves this CRN award! I agree with 3CX deserving the award. They've been a household name for IP PBX products.